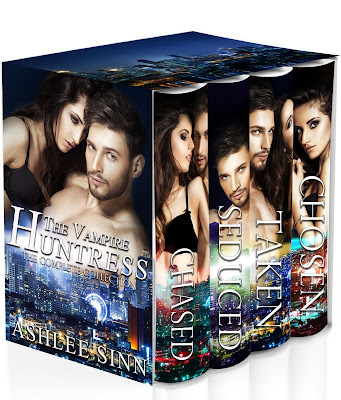 Ashlee Sinn: The Vampire Huntress Series is COMPLETE! The Vampire Huntress Series is COMPLETE! One vampire hunter. One hidden desire. One night that will change it all. Sophia Glen thought she had it all. But as a vampire hunter with a hidden desire, she struggles with her forbidden cravings. And when Sophia is forced to work with the captivating, exotic, and irresistible Viktor Kaska, her future as a hunter will be changed forever.